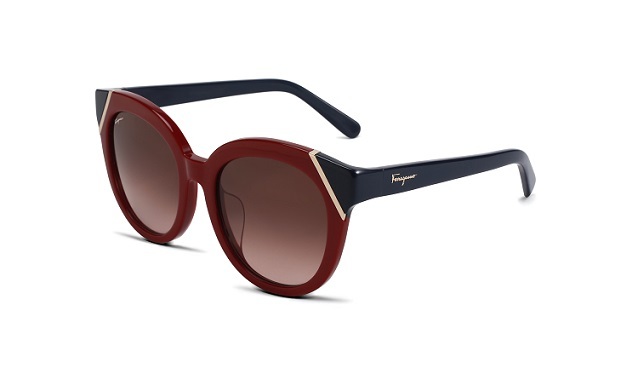 Salvatore Ferragamo 2017 Eyewear Collection combines timeless elegance with contemporary appeal, seamlessly portraying the brand’s unmistakable style. This rounded, thick acetate style is characterized by a youthful color block effect created by the temple color that expands to the frame front for a contrasting look. a decorative metal inlay provides a distinctive edge. Available in tortoise/ivory, tortoise/black, red/navy blue and black/petrol. 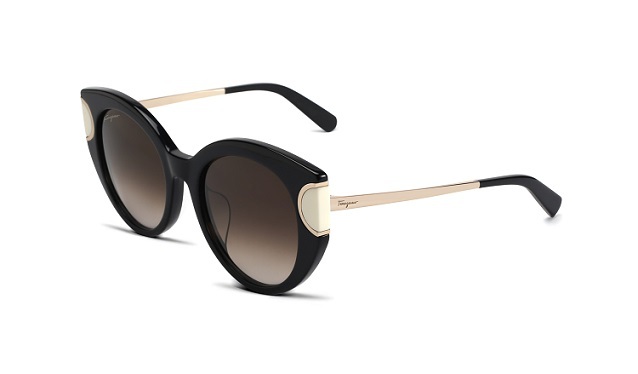 This butterfly shaped frame incorporates the iconic gancino in a new way. Starting from the frame front, the Gancino logo virtually extends from the endpiece to the temple tip. The frame is further enriched with handmade enamel finishing, which offers an unexpected and refined touch of color. 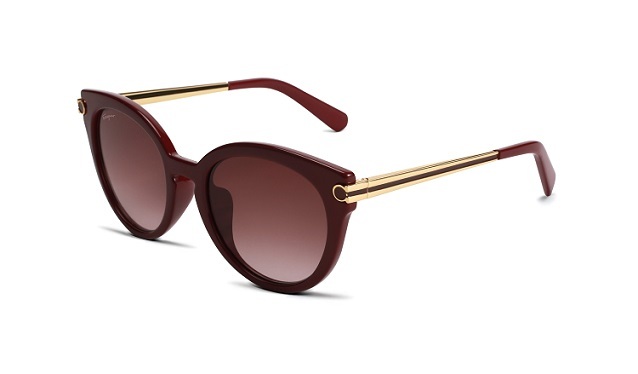 Available in black, tortoise, beige and burgundy. This oversized butterfly style represents a modern reinterpretation of the signature collection. 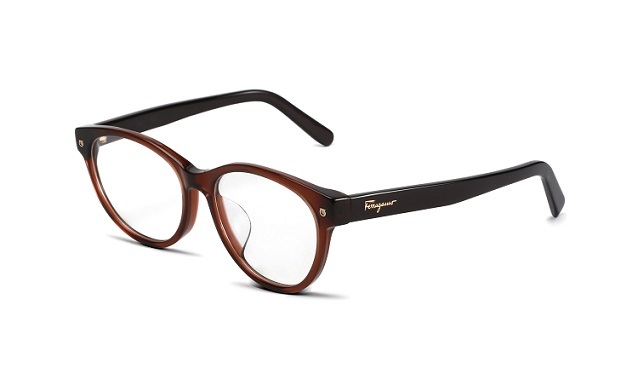 The iconic Gancino logo is elegantly placed on the zyl frame front in a contrasting color that makes a statement. sleek metal temples add to the contemporary look. Available in black, tortoise, Tokyo tortoise and violet. This women’s model is the star of the brand’s adv campaign features a rectangular front section with metal frames. The joint between the temples and front section is emphasised with a fresh color-block effect – a nod to the famous Gancino detail. The lightweight, comfortable structure is synonymous with quality and class, making for a model that succeeds in combining contemporary elegance with functionality to perfection. Available in black/shiny gold, brown/shiny gold, petrol/shiny gold, orchid/shiny gold. This soft cat-eye silhouette is accentuated with two Gancino metal embellishments on the frame front, adding a touch of modernity. a refined color palette makes this frame extremely wearable. available in black, brown, violet and berry.